Dr. Natalie Pankova (Shivom): Shivom is a multi-national precision medicine startup, and we are working on building the largest genomic and health data hub around the globe by combining state-of-the-art technologies such as blockchain, DNA sequencing, advanced cryptography and eventually artificial intelligence and the internet of things (IoT) to power secure and personalized medicine. Shivom aims to solve several problems that plague current healthcare systems, from inaccessible data silos, data breaches, healthcare data that is not actionable or difficult to interpret, unclear data ownership, unsustainable healthcare costs, and data portability, among others. For example, healthcare data, when siloed and stored in a variety of formats and disparate databases, is not readily available for society’s maximum utility, benefit, and medical needs. Compartmentalized information, especially for genomics data, significantly limits healthcare providers from being able to conduct effective research and to develop drugs. By sharing data in a more open yet secure way, the collective data is likely to be much more valuable and useful. In addition, by reaching ethnicities with unusual mutations and phenotypes, it can improve clinical trial outcomes and further advance development and adoption of precision medicines. By combining genomic sequencing data with other data, for example health records, researchers and clinicians can better interpret it to improve patient outcomes and it can be used to investigate the causes and treatments of disease. In addition to lack of transparency about genomic data collection and usage, users aren’t readily encouraged and lack incentives to participate in studies and share data, which stifles genomic research and drug discovery and development. The healthcare economy would like to see innovative approaches to therapeutic discovery, as well as greater oversight, management and control over their personal data and wellness. Of course, we do not want to leave people alone with the complexities of interpreting their genomic information. As such, we strive to build a large global network of genetic counselors which can double as a telemedicine ecosystem, for those who don’t have direct access to speak to someone. With the rising interest in genetic testing for both common and complex diseases, there will be an exploding need for genetic counselors in the next few years. This demand is paralleled by rapid advancements in the scope and cost of genetic tests, the knowledge of how genetics contributes to common and complex diseases such and diabetes or Alzheimer’s disease, and the enormous complexity of genome science in medicine today. By building a blockchain-based platform for the secure storage, management, sharing and commerce of genomics and healthcare data Shivom’s goal is to tackle these fundamental healthcare challenges and help bring medicine into a new era. Natalie: We will be collecting genomic information as well as phenotypic (clinical) information from users. We are looking to integrate parallel technologies, for example, information gathered from electronic health records, various devices such as wearable technology via IoT, and eventually other omics data (particularly metabolomic and microbiome data) to complement the genomic information. In this way, we are hoping to combine all possible data sources to generate the most valuable insights for our users and patients. Shawn: Do you anticipate participation to be primarily the initial activity of submitting genomic data, or will you keep participants continually engaged with submitting other forms of data? Natalie: We will allow participants to initially submit data from other genomic and genetic platforms. For example information they may have obtained from other sequencing companies. We are also developing our own sequence kits which users will be able to order, and submit samples for sequencing to generate genomic data. They will also have the opportunity to fill in their healthcare information via surveys on the platform, and eventually through connection of other partner apps and services for linking healthcare records and devices. Natalie: We will be accepting all forms of data from other service providers. Currently, most available data is made up of SNP and exome data; however, as the prices for whole genome sequencing are dropping, we will start to generate more whole genome data. Additionally, we are working with partner services and organizations to help subsidize sequencing studies so that the maximum amount of whole genome sequence information can be generated for our platform and combined to deliver the most valuable insights for our users and our B2B customers. Natalie: Yes, we are working to produce a kit for users to provide a sample of their saliva to be sent for sequencing. We are developing sequencing partnerships with healthcare providers, and working with service companies to provide sequencing services for us, and with enough growth, we can set up our own sequencing facilities across the globe. This will allow us to obtain data from numerous communities where we have built a presence, and where people have not yet had the opportunities to be sequenced. Natalie: Both – we currently have a number of partnerships both already in place and others that we’re working to finalize in order to get our sequencing pilots going. For example, we signed a collaborative agreement with the Government of Andhra Pradesh to begin some pilot work there. We are also looking at some targeted disease areas where we can get sequencing information that can help move medicine forward in those specific disciplines in various facilities around the globe. We are also working on producing our direct to consumer genetic testing kit and service so that anybody can get their DNA sequenced. Natalie: Blockchain will be used to store a record of people’s encrypted identities and for the interaction of the Omix (OMX) token on our platform. 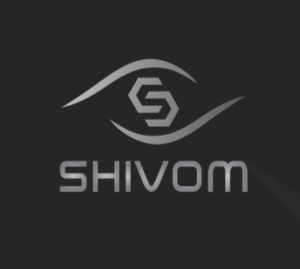 The OMX token will be the fuel of the Shivom ecosystem and necessary for all transactions that occur on the platform which will be recorded on a blockchain. Users will use the OMX token to access healthcare related products and services. All parties on the Shivom platform including individuals, pharmaceutical companies, research organizations, insurance companies, universities, employers, etc. can utilize OMX tokens to settle any activities and transactions, including the procurement of products and services. Customers signing up to use the platform will have a wallet with an OMX balance. The strong encryption techniques that we are building throughout the distributed ledger are a safeguard against fraud, account tampering, and threats to consumer privacy. Blockchain can also help connecting stakeholders, eliminating some unwanted middlemen that increase costs in healthcare systems, the technology helps to operate across borders so that users can operate everywhere, serving underserved markets. All of this can be done with decentralization of information (data is not stored in one centralized database), so blockchain offers no single point of failure. With the help of smart contracts, blockchain can enable real-time transactions to occur automatically via pre-defined agreements which makes transactions in the Shivom ecosystem faster, cheaper, and less prone to error. Natalie: The OMX token will be used to incentivize platform users. OMX tokens will be provided to users for donating their genomes to research studies, participating in clinical trials, and contributing phenotypic healthcare information such as via health surveys. In addition, we plan to work with employers to provide reward programs where individuals can be, for example, incentivised for healthy living. Natalie: OMX utility tokens can be used in many ways within our platform. For example, users can obtain genome sequencing kits to get their genome sequenced; they can get access to health/fitness apps from 3rd party providers, redeem the tokens for health-related products (for example via a partner pharmacy or online shop). Eventually, they may be able to receive other ‘omics’ kits (e.g., metabolome, transcriptome, microbiome, or epigenome testing). They can also obtain an analysis of their pharmacogenetic profile (which drugs work for you and which do not) and get personalized lifestyle, diet, and nutraceuticals advice. The various options for using OMX tokens in the healthcare space are virtually limitless and will depend on which products and services we will integrate as our platform grows. We aim to build an open platform so that other healthcare providers and businesses from all over the world can add their products and services alongside ours, which will eventually form a massive healthcare and wellness network. Shawn: As a utility token, is OMX exchangeable? Can it only be spent within the system? Natalie: At this point OMX is a utility token that is meant to be spent within the Shivom ecosystem. However, we are exploring other mechanisms with our partners for ways of exchanging tokens between platforms and networks. This will come with time. Shawn: How much money have you raised? By what mechanism? Natalie: Shivom raised $USD 35M via crowd token sale. Natalie: Initially, the number one customers will be those that can generate the most use of large aggregate sets of genomic data to advance their R&D programs and where significant cost savings can be incurred by utilizing the vast amounts of data stored in these large data sets. This may be pharma companies, academic centres or research organizations that are conducting population-based studies. In the long term, the B2C customers are likely to shift to the MedTech and IoT verticals, as well as to healthcare providers that will use the Shivom platform for improving the health of their clients. Shawn: This is a really exciting space, so naturally it has attracted a number of competitors. How will Shivom stand out from the rest? What do you see being your key advantage? Natalie: Yes, this is absolutely a very exciting space, and thus has indeed attracted a lot of participants. This is a testament to the opportunities that exist in this space, the size of the potential market, and the growth we have seen in the healthcare data marketplace, as well as the reduction of associated costs. It also highlights the need for a solution in this space, as the world moves towards a time where virtually everybody will be sequenced on a regular basis, and will interact with health applications and services – one which provides the privacy, security, and trust for an individual to be comfortable with storing and sharing their most valuable data. We believe that we stand out in this regard because we seek long-term sustainability, responsible growth, and building technology based on ethical principles and inclusive frameworks for the greater good. Our goal to protect the privacy of individuals led us to work with teams developing advanced encryption algorithms, and we place fundamental importance on security and the privacy-by-design principle. Currently, many people do not have a high degree of confidence about giving out their highly sensitive health data online. This means they are less likely to use online services and other technologies, again stifling not only innovation but the ability for them to access the best care for themselves. Our goal is to change that – providing safety and trust to all users. We will put the will of the data owner (based on fine-grained consent and smart contracts) on top of all processes. We are also globally focused, and our goal is to enter developing economies where healthcare markets are expanding and where DNA sequencing samples are under-represented, e.g. Asia, Middle East, and Africa. Finally, we believe that while there are a number of players in the space, the technology that we are working with is still nascent, and we are focused on building a solution that’s as much as possible resistant to the rapidly changing technology landscape. Thus we are very open to collaborative work with other teams and prefer to see other healthcare technology “competitors” as potential partners or collaborators, either via service provisions, integrations into the data marketplace, or simply identifying and eliminating barriers to interoperability with healthcare data.